When it’s time to look for a dental office in Westminster, Bertagnolli Dental offers a friendly and caring environment for the entire family. 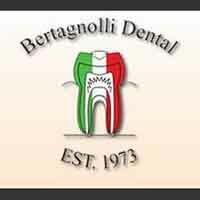 One step into Bertagnolli Dental and you will be greeted by our caring staff who will make you feel right at home. We take pride in offering personalized attention and a full range of services using state of the art technology and techniques. We have a comprehensive list of general, cosmetic and restorative dental care services to meet the needs of your entire family. Some of our procedures include teeth whitening, veneers, implants, dentures, crown, general check-ups/teeth cleaning and sedation dentistry. Our courteous staff will give you the personal attention you need and answer any questions you may have. Experience modern dentistry at its finest. If you want a caring dental office in Westminster, we are the office to call. Schedule your appointment today.